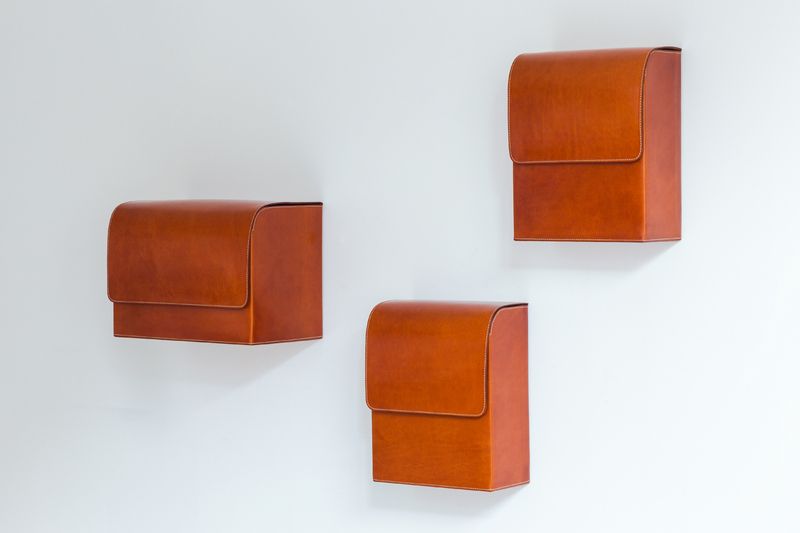 2016 - Bag on Wall is a mural leather storage piece that once hung on the wall recalls the beauty and nobility of our everyday’s personal traveling partner. 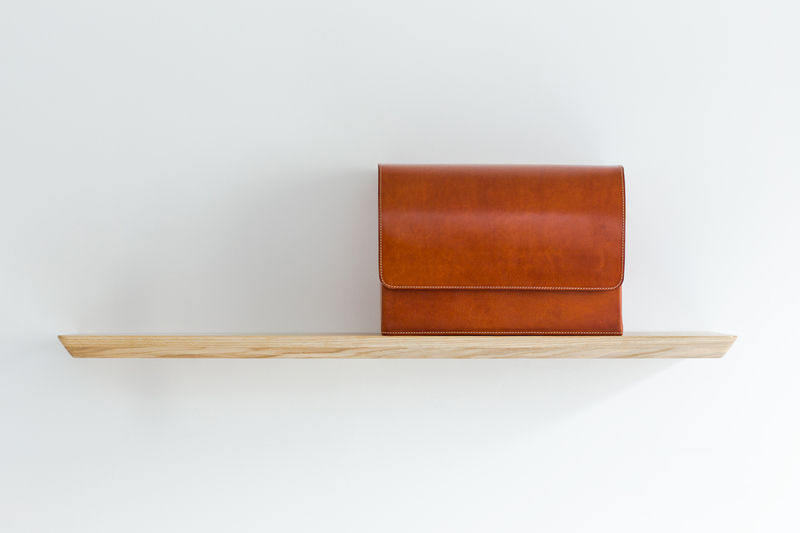 / The project results of a collaboration between designer Mathias van de Walle and leather craftsman Ralph Baggaley in the frame of the Beglian Matters, an exhibition curated by DAMn° magazine for the Design Week in Milan, Italy. 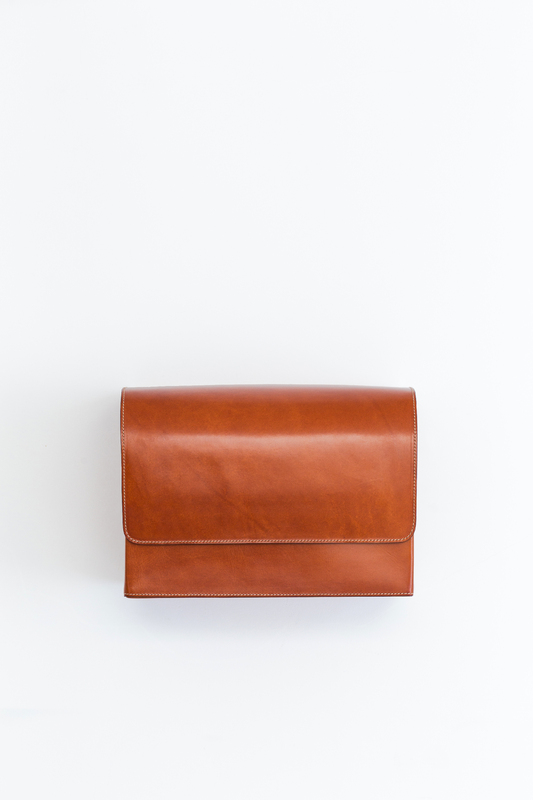 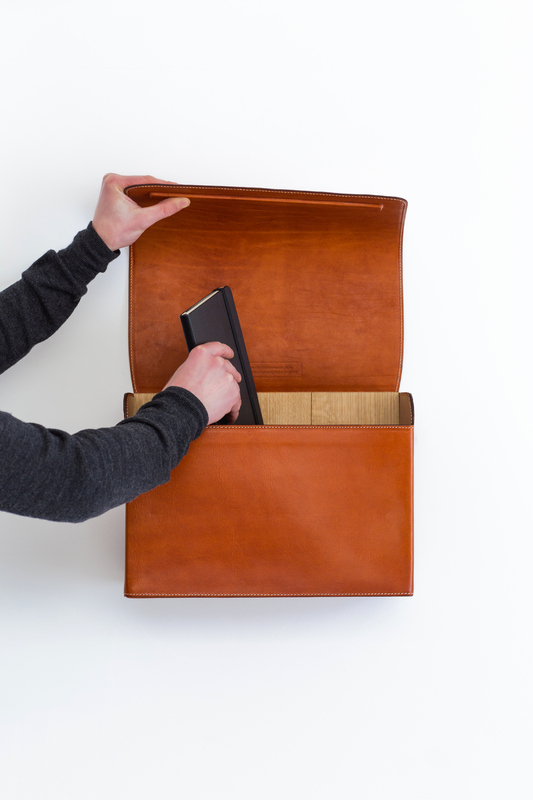 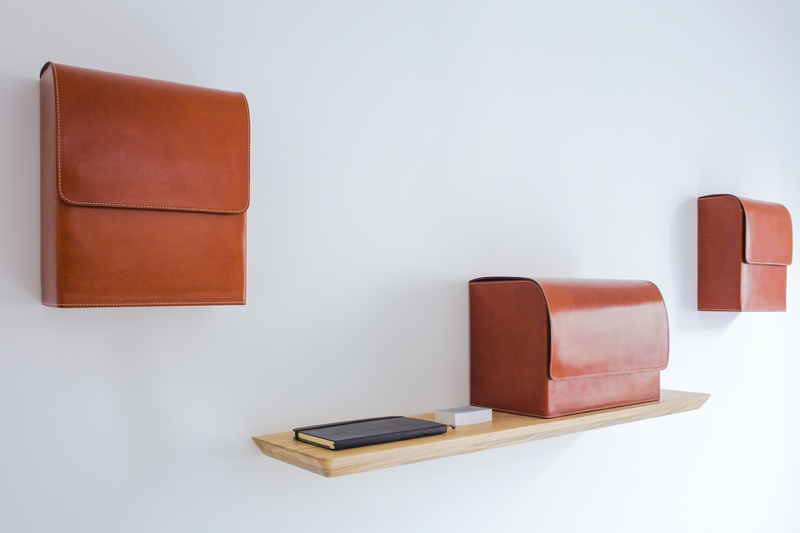 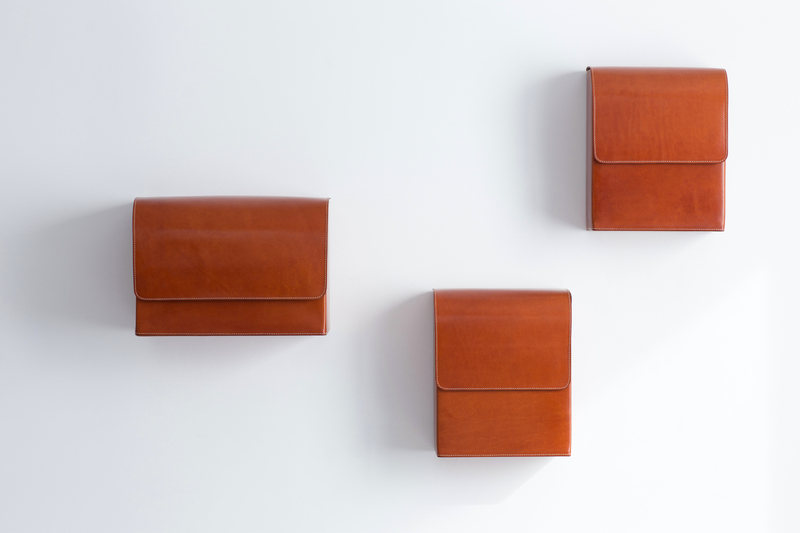 / Bag on Wall is made out of vegetable-tanned leather combined with solid oak stucture. 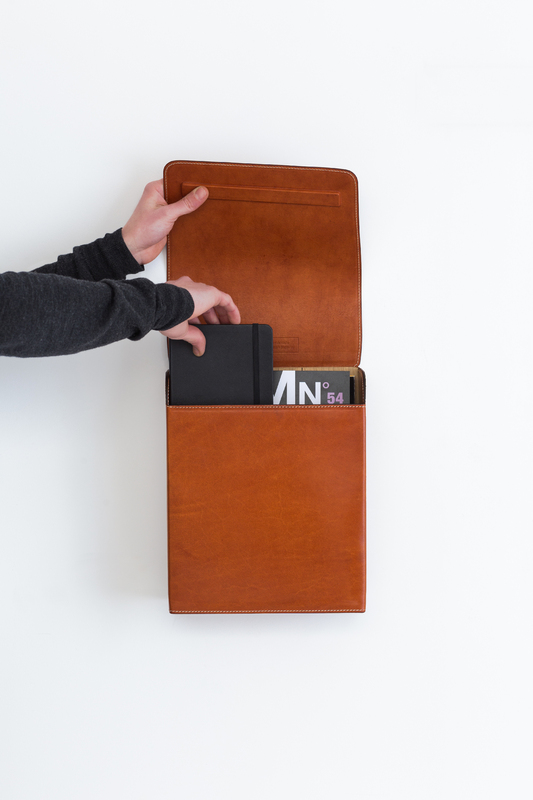 Also available with a fixed oak shelf plate. 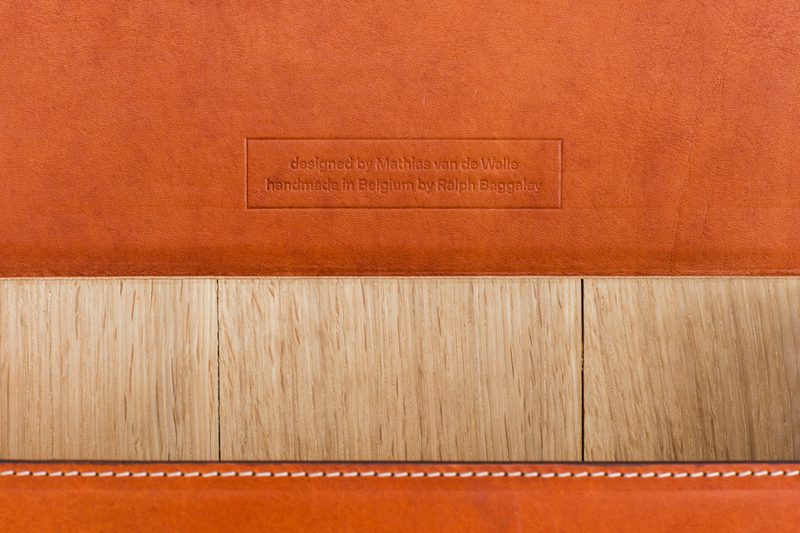 © 2016 Mathias van de Walle - All rights reserved - Website by Emi Sakurai.